The West Maui real estate market, part of the larger Valley Island and Hawaii housing markets, saw a disappointing performance in the most recent tracking periods. According to statistics provided by the Realtors Association of Maui and the Honolulu Star Advertiser, there was a larger quantity of sales but a lower median price in December 2010. The median sales price for single-family homes on Maui was $460,000 in December, marking a decrease of approximately eight percent from $498,106 in December 2009. The median price is even further off the market’s peak, which was achieved in 2006 with a figure of $690,000. Condominiums, on the other hand, saw a substantially larger decline in median price. Condos declined from $450,000 to $377,500, marking a decrease of about sixteen percent from year-ago levels. The highest point of the condo market was reached in 2007, peaking at $550,000. This lackluster performance generally matched that of the Big Island and Kauai, although it was considerably weaker than the relatively strong Oahu housing market. 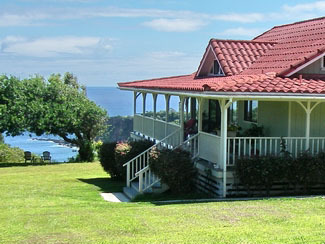 There were more home sales on Maui in December 2010 compared to December 2009 – 814 in 2010 compared to 693 in 2009, representing an increase of about seventeen percent. Similarly, there were 1,147 condominium sales on Maui in December 2010, showing a larger increase of about thirty-nine percent from December 2009’s 826. It is important to note that the West Maui and Maui homes for sale analyzed by the Realtors Association of Maui statistics analyzed both new and pre-owned properties, although Oahu’s numbers dealt with solely previously owned homes. A January 2011 article by Pacific Business News characterized the cumulative numbers for 2010 as possibly indicative of a nascent recovery, noting the higher sales volume throughout the Neighbor Islands. One local economist noted that the recovery of the Outer Islands is projected to be slower than Oahu, although the “bottom” of the market may be gradually forming on Maui. The overall sluggishness of Maui’s recovery can be at least partially attributed to a continually lackluster job market, as well as the hesitancy of many banks to extend additional lines of credit as they continue to recover from the recession.